When Parliament is recalled on Monday, party leaders should allow MPs a free vote on whether to suspend the EU Referendum as a mark of respect for Jo Cox and in response to the disgraceful, racist propaganda being circulated in the media. The 2015 EU Referendum is the most momentous political decision to have been put before the British public in the past forty years. It has been called by the weakest government since 1974. It is no secret that before the 2015 General Election, David Cameron promised a referendum on the UK’s membership of the EU as a way of buying off UKIP voters: a promise he never wanted nor expected to have to keep, but was forced to, given the surprise result of the election. The Conservative majority in the house of Commons presently stands at ten, the smallest government majority since 1974. Meanwhile the campaigns that resulted in the election of 28 Conservative MPs are under police investigation for electoral expenses fraud, which if proven could result in by-elections and perhaps even the fall of the government. Does the present Conservative government have the moral legitimacy to call a referendum whose result will affect the future of every citizen of the UK for generations? Not to mention the 2.3 million citizens of other EU member states who are residents of the UK, who cannot vote in the referendum, and the 2.2 million UK citizens who are resident in other EU countries, many of whom cannot vote either. I would argue that it does not. This is not a question of mere expediency or party politics. It is a major constitutional issue. The referendum has unleashed some of the ugliest political propaganda seen in Britain for decades. Tragically, this febrile atmosphere has led to the political assassination by a neo-Nazi terrorist of Jo Cox, an MP who had campaigned for Syrian refugees and in favour of the Remain option. No matter whether Leave or Remain wins, the results of the referendum will be unavoidably tarnished by these tragic events. In some other countries—such as Spain where I live—there is a legal requirement for a period of reflection just prior to an election, with no press or media coverage, to allow people to think calmly about the issues involved. On Monday Parliament will be recalled for a special session to commemorate the life of Jo Cox. 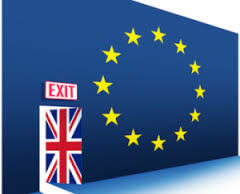 I believe that the party leaders should take this opportunity to allow a free vote on whether to suspend the EU referendum until such time as it can take place in an atmosphere of calm discussion of the complex issues involved, and not one of hatred, grief and shock. Calling off the referendum would be a very anti-democratic move. Trust the people, they will vote in the referendum to indicate their feelings on these issues. immigration, democracy and free trade deals we have waited long enough. Please would yo watch LEXIT THE MOVIE and please promote it. It is packed with information, facts, discussion on various issues. There are no scare stories, right wing agendas or propaganda. I beg you if you are a true democrat this movie will answer some serious questions for both sides in a fair, gentle and pragmatic way. It had me quite emotional. these people need commending for their efforts in this. democracy is the very reason it gains strength. Democracy gives power, and a voice and starves the extreme right of its reason to exist. But control is the key and I do think that your call for suspension just fires more frustration.. Away from all this hype the majority population are working real hard to make their decision and are calm and level headed. Please do not see fury and and serious division all over the place. I really think that it is up to the remain side to resist the use of that tragedy for political gain. ( there will be no interest in the leave side to use it ) That unfortunately though is already apparent from the remain side. I don’t think it will turn out well of them. I think your view should be redirected to that issue of calmer, fairer debating for the remainder rather than a suspension. From what I gather Jo Cox was a stalwart of democracy. Is it really appropriate to stop the process ? Secondly about the 2.2 million Brits living elsewhere in Europe, if they have lived in Britain within the last 15 years then they get a vote. That also goes to all expats living elsewhere in the World outside of the European Union. Should Eu nationals who live in the UK have a vote? Why should they? They are citizens of other countries and can vote in their own countries elections. I lived in America for 3 years and as a British citizen I was never allowed to vote there despite contributing a lot of tax. And what are your views on non-EU nationals living and working in the UK? or UK citizens living in countries outside the EU? Lastly, whilst the death of Jo Cox is an absolute tragedy we can’t let a mindless lunatic affect UK democracy…. If we do then what happens at the next general election and someone thinks if they kill an MP they will get the election called off or postponed? What happened is just awful and very painful for many people but if something good can come out of it then the suspension in both campaigns is allowing voters to step back and have a weekend of reflection and hopefully in the 3 days of next week before the referendum there will be a better tone to the campaign. If we want to preserve our democracy then the referendum must still take place. It seems close but REMAIN are evidently losing the vote to LEAVE in England. It’d be a very bad idea – though I wouldn’t put it past them – to cancel the referendum as a ‘mark of respect’ to one dead labour MP while showing complete disrespect to ALL the people of the nations of the UK. By the way there are reports around the internet suggesting that the mentally ill guy who shot Jo Cox was actually fighting with someone else at the time and that she was shot for intervening. An accident then and not a deliberate assassination. The guy apparently did not shout ‘Britain First’ according to other witnesses. This has not stopped the REMAIN campaign from disgustingly taking advantage of the confusion to smear LEAVE and ensure that the ‘sheeple’ vote the way the elites want them to. At first I thought this was a false-flag attack but now it looks like she was just unlucky enough to be in the wrong place at the wrong time and what woman in her right mind steps into a knife fight with two guys anyway? Though I know female cops/soldiers would be expected to do that all the time. I’m voting LEAVE even though I’m instinctively for REMAIN or at least pro-European in general but I want a second referendum for Scotland. Every vote I have ever cast, whether I live in Glasgow or London, has been with that Independence view in mind. What have you been smoking? The guy who just gave his name in court as “Death to traitors, freedom for Britain” hadn’t actually targeted Jo Cox despite all those witnesses saying he was waiting outside the surgery for her? Despite him shooting her several times, and then coming back and shooting her again, in the face? Douglas did the question you ask really help in making your point? This is exactly the type of hostility we need to dismiss. terrible thing this democracy…particularly when the voters don`t do what the politicians want! Mind you there might be some merit in this daft proposal…e.g. the next time an Old firm result goes the wrong way presumably the losers are then entitled to shout foul – and ask for a rematch! Nice thought Robert perhaps to close now to make such a consideration. You make an interesting point about Spain’s legal requirement to have a period of reflection where campaigning stops. Contrast with the fear campaign in the UK . Cameron again threatens to reduce pensions to scare the sector of the electorate who most favour a brexit. The debate in the UK is between two groups of snarling politicians each being economical with the truth. It’s a shocking reflection on the quality of our politicians. They are treating the electorate with contempt. We all need to see beyond the innuendo and consider the wider issue. Is our individual democratic right diminished by remaining. There is no doubt in my mind that having fought long and hard to earn the vote we are signing our rights away to an anti democratic EU. Like 2014 it’s a choice between two futures. Show some backbone and ignore the smoke screen of immigration. Scotland – our place on the world stage does not depend on being a EU member. Thank you David for your constructive comment, unlike so many who are responding to this suggestion in an aggressive and partisan spirit. Was it not undemocratic for a Tory party with a tiny minority (which it appears may have been won through misuse of electoral expenses) to call the referendum in the first place? I am not calling for the referendum to be cancelled, merely suspended for a period of reflection. Yes, it would certainly be seen as anti-democratic were this to be done on the part of the government, which is why I am calling for a free vote by MPs. No, I don’t think this is very likely to happen. But given the circumstances, it doesn’t seem like a crazy idea by any means. No problem with the idea a suspension would be a gesture of solidarity maybe an MP will propose such a motion. The idea for a period of reflection an improved version of purdah is worthy of future consideration. I don’t think cancelling the EU referendum now is the right thing to do. Admittedly given the horrendous circumstances at the moment, the idea might have some merit on first reflections. However, I think it would actually lead to an even worse atmosphere, and it would continue to pollute politics in the UK. Even postponing it for a few months would lead to an even grimmer and inflamed mood when the campaigns resumed once again imo. The ordeal would just be dragged out. Better to get the vote out of the way ASAP. I don’t think the enormity and shock of what has happened to Jo Cox MP has been able to sink in completely yet. I agree. It has not had time to sink in. Precisely why I am calling for a free vote by MPs on whether it should be suspended until proper reflection can take place. Not cancelled. I don’t really see the point in suspending the vote though. The referendum has been conducted appallingly by both sides, major elements in the UK MSM have been conducting a hate campaign against refugees for decades, with Farage’s poster plumbing the depths. Better to get the vote out the way now, sadly nothing is going to bring Jo Cox back, and the rhetoric and the atmosphere around the debate is not going to be improved by putting the vote off. You know, I have been thinking exactly the same thing. The campaign has been far too short for such a momentous decision; a short campaign was a political miscalculation on the part of Cameron, who thought that a short campaign would best benefit the status quo, just as in the Scottish referendum, No was well ahead at the beginning, but a long campaign slowly eroded the gap. But this has misfired spectacularly. The short campaign has become incendiary and polemical. The economic rationale of Leave rests on a bogus prospectus of bluff, bluster and assertion. There is no economic modelling, no facts, no certainty about anything. During the Scottish referendum the Scottish government which proposed the radical breakaway was obliged to and duly published a White Paper on their plans which was then examined and critiqued paragraph by paragraph by those opposed to a change in the status quo. The Leave side has produced no such prospectus. They are a sham. We cannot possibly have such a referendum without having some idea of what the future might hold outside if the EU. What is to happen to EU citizens currently living and working in Britain and who have been paying British taxes? Are they to be booted out? Can they apply for British citizenship? What about British ex-pats abroad, will they be deprived of their right to remain where they are? The referendum was a mandated costed vote , timed to be now. Every day people die , politicans die , people are murdered. Through direct and indirect actions of our elected officials. Jo Cox from what I gather was a voice on intergration of immigrants , and for remaining in the EU , the reason perhaps why she is now tragically dead. To therfore use this as a politicial opportunity to allow brexit to fine tune its fear factory is laughable and immoral , those that were on the fence leaning towards exit may well now have seen the error of blaming the non farting dog. To allow politicians to reverse and regroup is the worse possible thing for democractic involvement of the electorate. They have had their time and money to spend on their cause , so defferment is counter productive to democracy….something that is lacking in areas leading to the very immigration crisis in the EU that is fuelling the mind , sick or not , of the kind of people that murdered Jo Cox. Westminster is keen to use kneejerk opinion when it wants , for what it wants , but when the opinion is not one its keen on , ie remaining in the EU in this instance , then it wont allow and then moves the media whores towards a time to reflect , so backwards for those closeted racist sheep now wavering. As does the brit expat pensioner in Gib i just watched being interviewed , “as i live in Gib today I will vote remain , but if the vote was on me while living in England I would vote out”. Oh for the ability to afford such dilemmas. One then has to ask why has expats in the Costas etc not been given the vote , are they not Brits living the in the EU and the restrictions and contradictions that come from it being argued about at the political level ? But then they are the kind that are enjoying both feet in , so would like to keep it that way. To be blatantly cynical, anyone pro-Remain is doing themselves a disservice calling for a suspension. While the memory of the atrocity’s still in fresh in people’s minds is the most fortuitous time for “Remain” to get it over and done with, for obvious reasons. So you suspend it for two months, and another nutter shoots another MP just before that vote. No problem with the idea a suspension would be a gesture of solidarity maybe an MP will propose such a motion. The idea for a period of reflection an improved version of purdah is worthy of future consideration. Anything to deter last minute Broono interventions and vows is a good idea. Broon’s already intervented, hasn’t he? And would do so again if the referendum was postponed. There’s no getting around the probability that suspending this referendum as a direct response to Jo Cox’s assassination basically green-lights the assassination of any political figure as a delaying tactic for all future referendums. It’s been a vile campaign and I can’t see any extension improving it, nor the government surviving another year of being internally split, which means the referendum would be cancelled. Just get the bloody thing over and done with. What an obtuse Headline followed by an even more obtuse suggestion! Firstly, should we deffer democracy anytime some lunatic murders an MP, MEP, MSP? NO, that panders to the lunatic fringe. Secondly, most of your argument has nothing to do with the murder of an MP but a series of pertinent questions relating to the legitimacy of the Tory government. Sadly another failing of the Establishment to facilitate effectual democracy. The Electoral Commission failing miserably, as they have also done with the allowing of exaggerations, half truth and utter BS to be presented by both sides. This Ref has shown two things IMO.